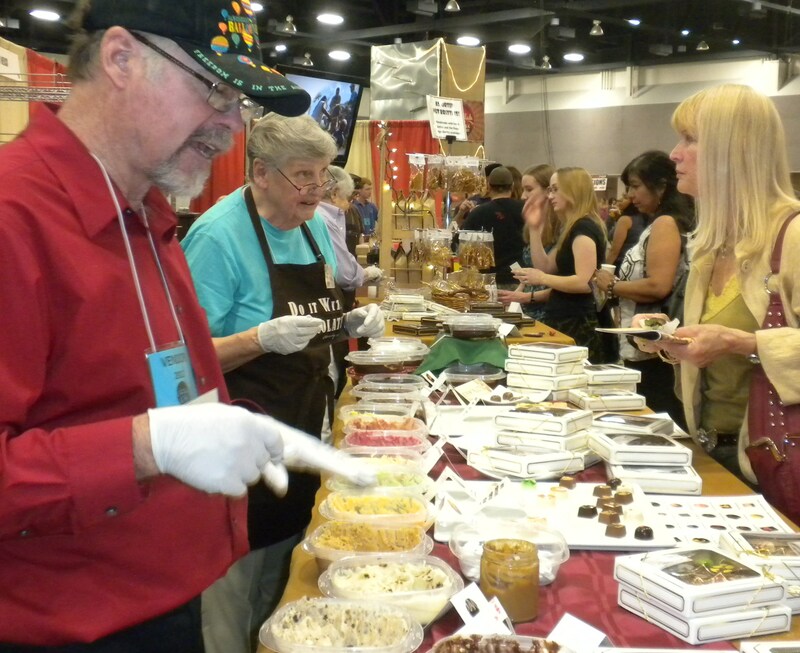 We were looking for something different to do on Sunday and we wound up at the 2nd Annual Southwest Coffee and Chocolate Fest in Albuquerque. And when I say “wound up,” that’s exactly what I mean. Within 45 minutes of arriving I was rapidly nearing my limit of tolerance for caffeine–mainly from the chocolate samples. A sample of their “1775 Marie Antoinette” blend was heavenly. Named after the famous French queen, this blend is recreated from her preferred recipe using dark chocolate, steamed almond milk, cinnamon and orange blossoms which was popular in the 18th century French Court of Versailles. We couldn’t resist purchasing some of this. Next came the Nestle’s Toll House chocolate eating contest. 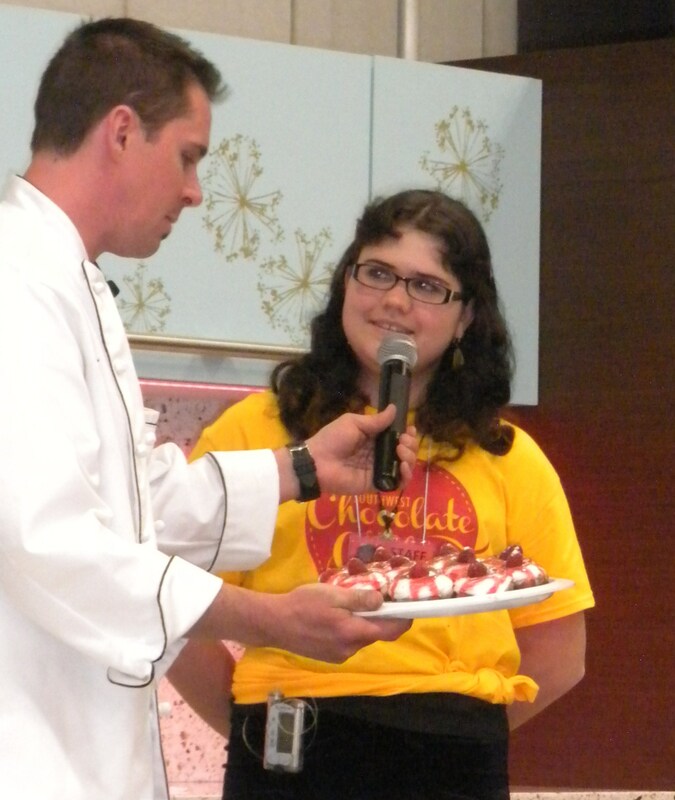 I am not a fan of the conglomerate chocolate company or their common and sugary products but the contest was really fun! 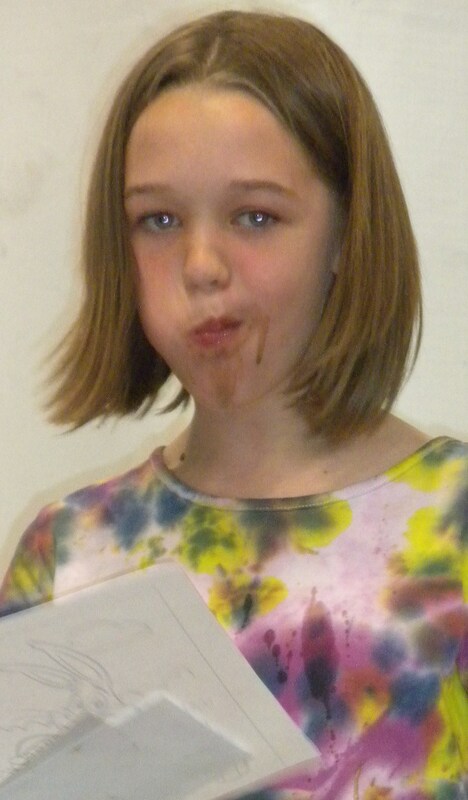 About a dozen kids sat down to gorge chocolate products and here’s the winner, still working on her last mouthful while accepting her prize. There was a baking contest for young bakers, too. This was run just like something from the Food Network with professional bakers and chefs judging. The winner had a three layer cupcake with chocolate cake, chocolate mousse and cream topping drizzled with raspberry sauce. I had no idea there were so many sources of organic and high-quality chocolate and coffee products in my own backyard! Many of the vendors were from New Mexico and in case you didn’t know, adding chili and other spices to chocolate is very traditional to this region. We met with some wonderful chocolatiers and eco-conscious coffee roasters and importers. There is even a non-profit corporation called Seventh Generation Institute marketing coffee to fund local projects in the Pecos Mountains such as the New Mexico Pika Monitoring Project. A pika is a cute furry little creature related to the rabbit and it lives at elevations above 8,000 feet charming passing hikers. Regional studies predict the ecosystem of the Southwest mountains could change significantly in the future and the pika population may be at risk. I agree with the basic concept of conservation and with hiking around and seeing pikas with their flowers in their mouths and hearing them make their cute little “eeek” sounds and if that is something forwarded by buying good-quality coffee, that is okay with me! We also learned about the Black Mesa Winery near Taos that makes an unbelieveably decadent syrup made with dark chocolate and their very popular Black Beauty dessert wine. We sampled that and the wine itself which is a dark red flavored with a touch of dark chocolate. 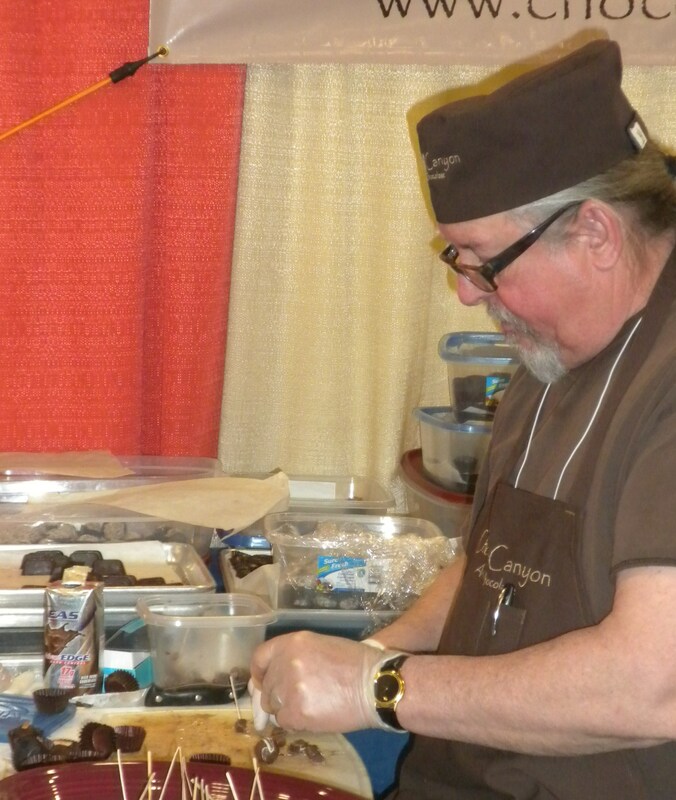 The Southwest Coffee and Chocolate Fest made for a delicious afternoon just right for chocoholics and coffee connoisseurs! The 3rd Annual will be March 15-17, 2013. This entry was posted in Food, Lifestyle and tagged Chocolate, Hot chocolate, Kakawa, New Mexico, Santa Fe, Types of chocolate by mycookinglifebypatty. Bookmark the permalink. Additional note: I feel i’m coming into my own on this blog. I assigned myself to go to the Southwest Coffee and Chocolate Fest and get some pix and write the blog. Had a great day off with my Hubby and got a huge chocolate fix. L O V E being my own boss here! Yes, we had a great time. There were about 75 vendors there so I had to pick a few to talk about. And yes, pikas are adorable! Thanks for the great comments. This sounds like a wonderful experience! Organic high quality chocolates? Practically in your backyard? Oh…..so jealous! 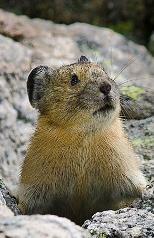 And I love the photo of the pika!